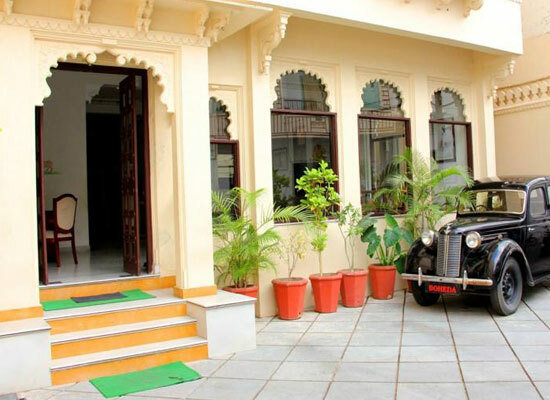 "One of the most popular heritage-style hotels in Udaipur, Hotel Boheda Palace is located in the heart of Old Udaipur City. 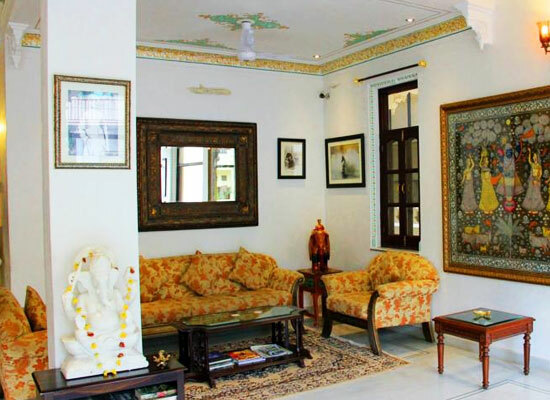 The surroundings are peaceful, lush and the property is quite close to a number of attractions in the city. 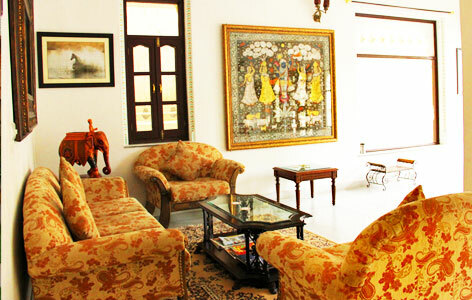 The hotel is a blend of age-old charm, impeccable Rajput hospitality and contemporary conveniences. The building is a typical Rajasthani structure with hanging balconies, arched Jharokhas (windows) and hand-painted ceilings. Guests can avail world-class amenities and facilities like internet connection, rooftop restaurant, laundry, medical assistance, recreation facilities, round the clock front desk, foreign exchange etc. 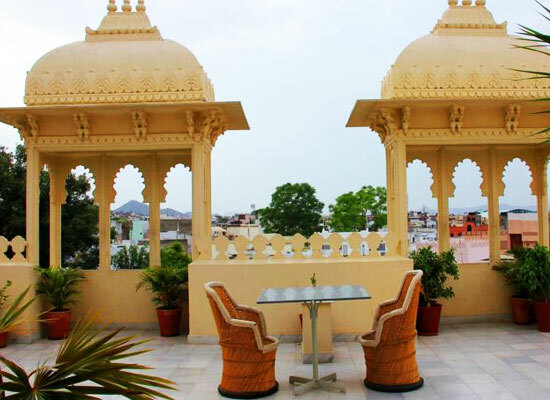 One of the best budget hotels in Udaipur, Boheda Palace has 16 spacious, airy and well-appointed guest rooms that offer a memorable and comfortable stay to the guests amid modern comforts. Some of the facilities and amenities offered in the rooms are telephone, choice of twin and king size beds, attached bathrooms with complimentary toiletries, air-conditioner, work table and chair, etc. Admire wonderful views of the surrounding areas. 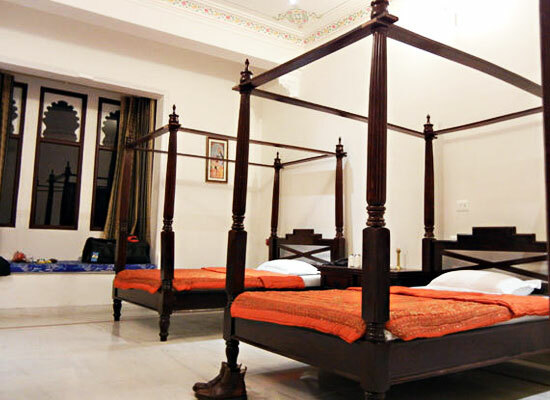 The décor of the rooms is in traditional Rajasthani style. The ceilings are hand-painted and the windows are arched. Hotel Boheda Palace has an in-house multi-cuisine restaurant that serves snacks, main course and deserts of Indian and other popular World fares. The menu also includes a vast variety of beverages. While enjoying your meals, treat your eyes to the wonderful views of the City Palace that looks even more beautiful when it is lighted during the night. The roof terrace is an ideal place to relax and enjoy informal chit-chat with your love ones. Udaipur, one of the state’s most popular destinations, is also touted to be one of the most romantic destinations of India. 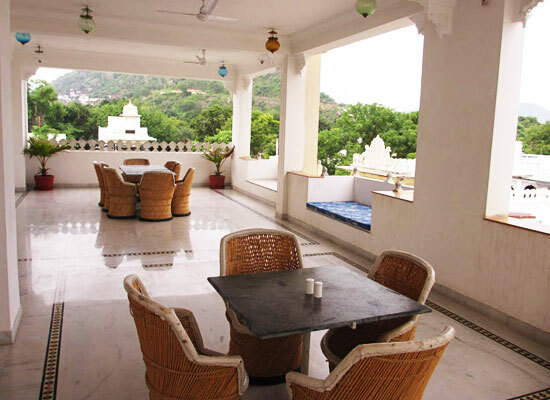 The city is dotted with gardens, lakes and palace with lofty Aravallis in the background. City Palace, Jagdish Temple, Sajjangarh Biological Park, Sahelion ki bari and Lake Pichola are some of the famous attractions of Udaipur. Boat ride and shopping must not be missed.